There’s really no well-worded intro needed. He is who he is. Nearly 40 years after his final fight, Muhammad Ali arguably remained — all the way up until his death at 74 last June — the most recognizable face on the planet. We all know the story. The Greatest heavyweight of all time, Ali captured an unprecedented three undisputed heavyweight championships, beat the US government by KO, ruled boxing for over 20 years and became the most popular man alive. 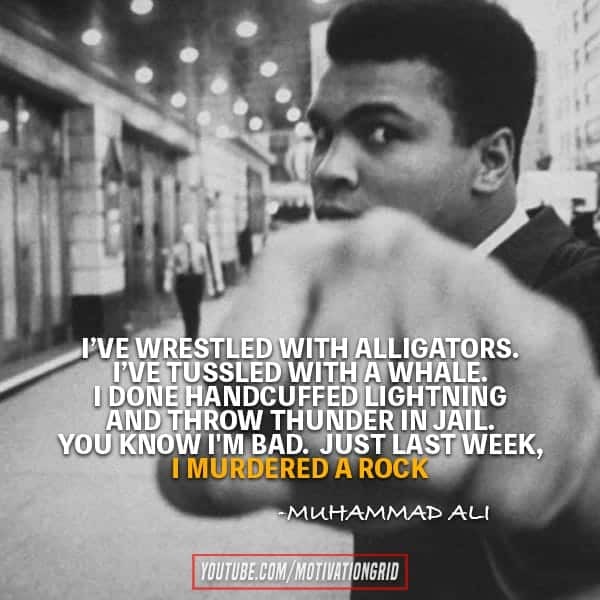 One of the most prominent practitioners of auto-suggestion of all time, Ali wasn’t just motivational outside the ring, but a killer inside it with unparalleled mental toughness. “If you look at him,” Mike Tyson said in a 2012 interview, “He’s average. He’s fast, but he doesn’t really have any great quality besides his agility. He never threw a body punch in his life. He doesn’t have great defense. From preparation to self belief, here are 17 epic quotes from Muhammad Ali ‘The Greatest’ himself. 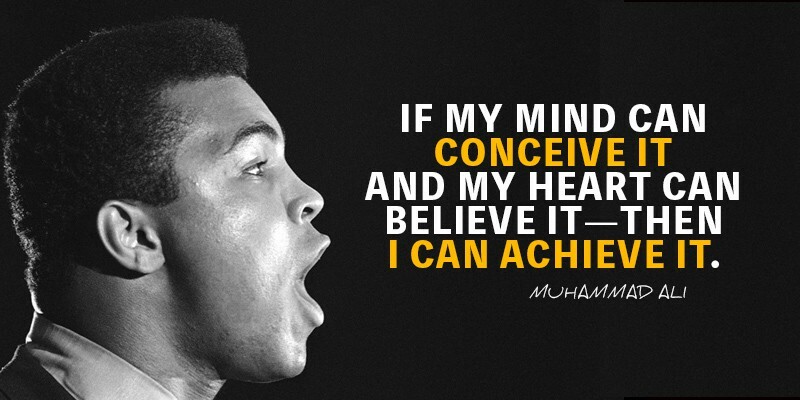 What is your favorite Muhammad Ali quotes? Let us know in the comments below. In the meantime, you can watch a video comparison we did between Muhammad Ali and Conor McGregor. 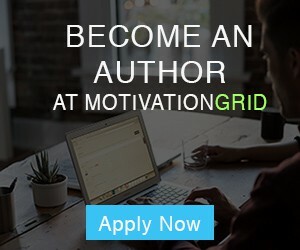 Philip Michael is an entrepreneur, TV personality and investor. He's the founder of real estate fund NYEG and investor in shopping app Sharebert.